Fiji is indeed a fascinating island considered to be one of the top destinations in the world. From golden sand beaches, endless diving spots, stunning waterfalls friendliest people and more, Fiji is surely set to leave first-time visitors really happy. If you’re heading to Fiji for a vacation for the first time, then these things will surely make you fall in love. Feel Welcomed at an airport like Never Before – On your arrival, once you clear the immigration, locals will welcome you by wearing colorful floral shirts and playing the Ukulele. Now where have you experienced the same kind of welcome in your life? The answer is pretty simple – nowhere except Fiji. Leave your Children in Safe Hands – Fijians love spending their time with children. If you’re going for an adventure trip, you can leave your little ones with no worries. Many resorts have kids club with professional nannies who will spend time with your young ones treating them as if the child belongs to them. Rest assured, your kids are in safe hands. No Gender Specific – Fijians often call a ‘she’ as ‘he’ as there are no gender specific words which can be confusing. Also, the letter ‘n’ and ‘m’ are pronounced properly by the locals. For example –Nadi is pronounced as ‘Nandi’ by the locals. Rugby is also considered as Religion – Fijians love this sport as many professionals representing Fiji play in the international level. So, don’t be surprised if you see a shop closed or tools kept down as many locals come together to watch and enjoy this sport religiously. By chance if Fiji wins and becomes the champions, then the celebration does not stop till the following day. 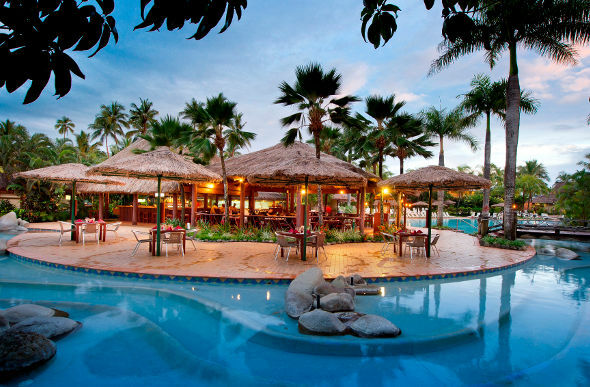 Your time in the exclusive Fiji island resorts is going to be fantastic.